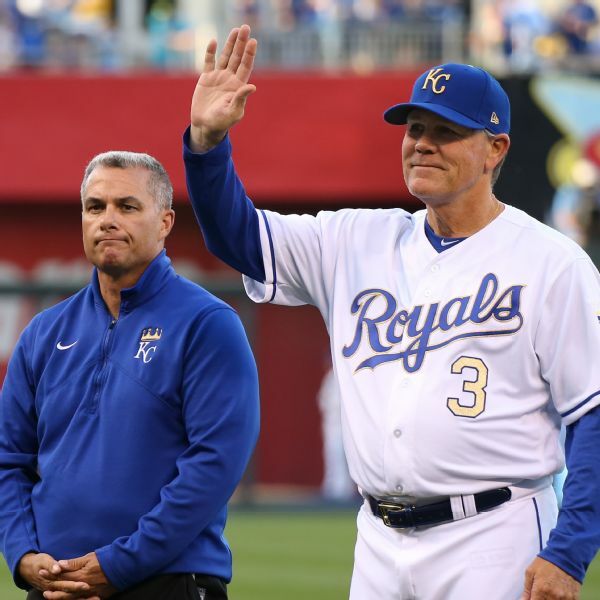 Royals manager Ned Yost talks to Sports Radio 810 about Joakim Soria's effectiveness, how different it's been to manage this year's bullpen and playing some September call-ups. 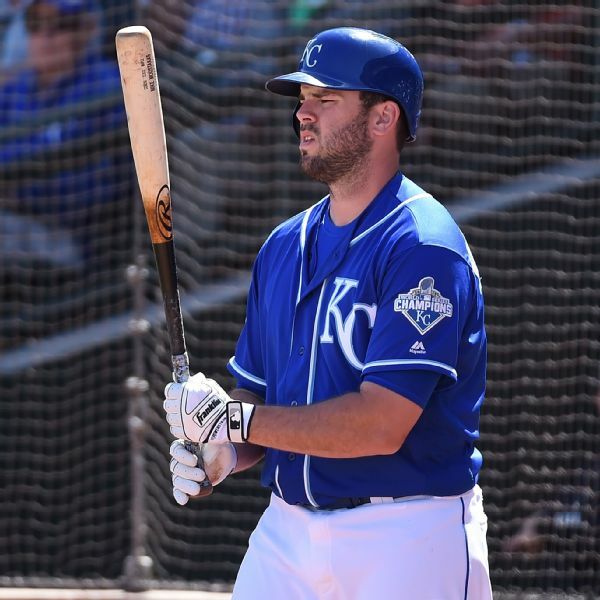 Kansas City third baseman Mike Moustakas was scratched from the Royals' lineup Friday night against Cleveland because of a sore left thumb. 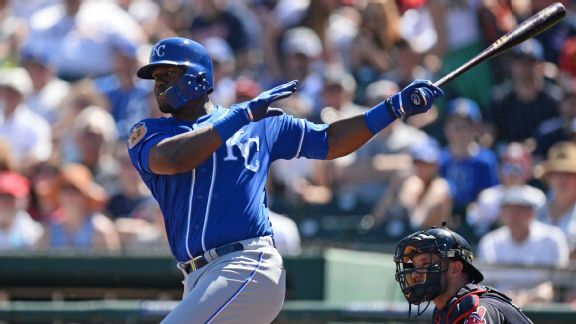 The Kansas City Royals have agreed to terms with 11 players, including backup infielders Cheslor Cuthbert and Raul Mondesi Jr., leaving six unsigned players in spring training. 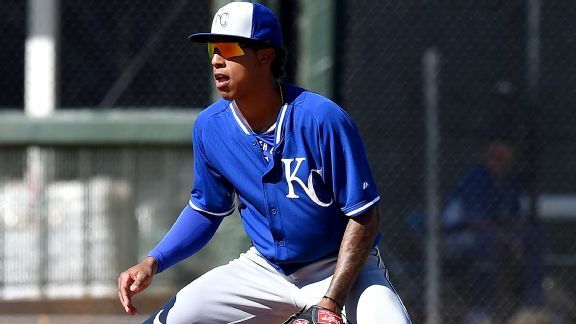 Raul A. Mondesi could become the first player to make his debut in the World Series if Ben Zobrist leaves due to the birth of his third child. 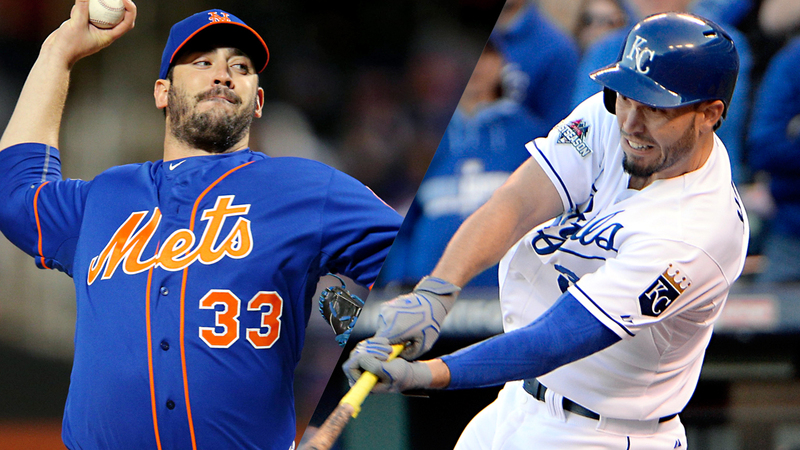 What separates the Mets and Royals? It's not their primary color. Paul Lukas goes beyond the blue with 10 uniform-related items to keep in mind as you watch the World Series. 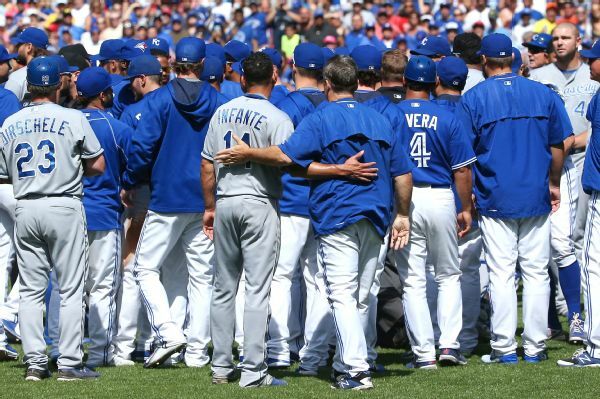 The Blue Jays and Royals will keep the same 25-man rosters they used to advance out of the first round for their AL Championship Series. 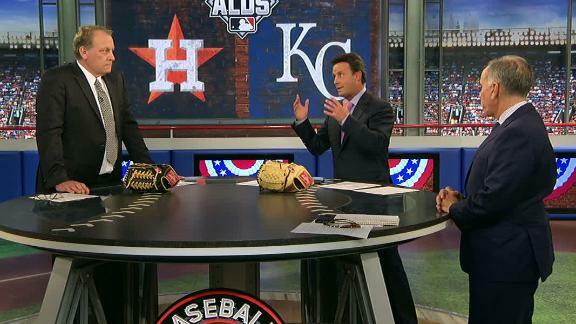 Ned Yost credits the Royals' roster balance with his ability to maintain consistency in his playoff lineups. 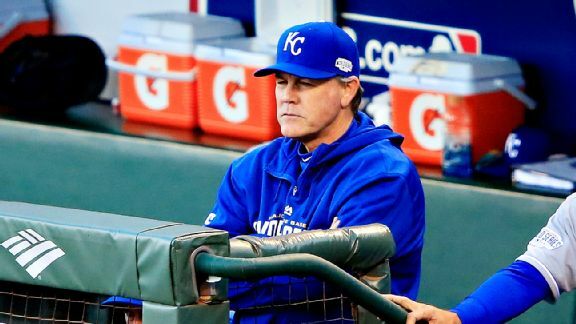 Speedster Terrance Gore got the call for the Kansas City Royals' 25-man roster over Jonny Gomes, who was not included for the ALDS.